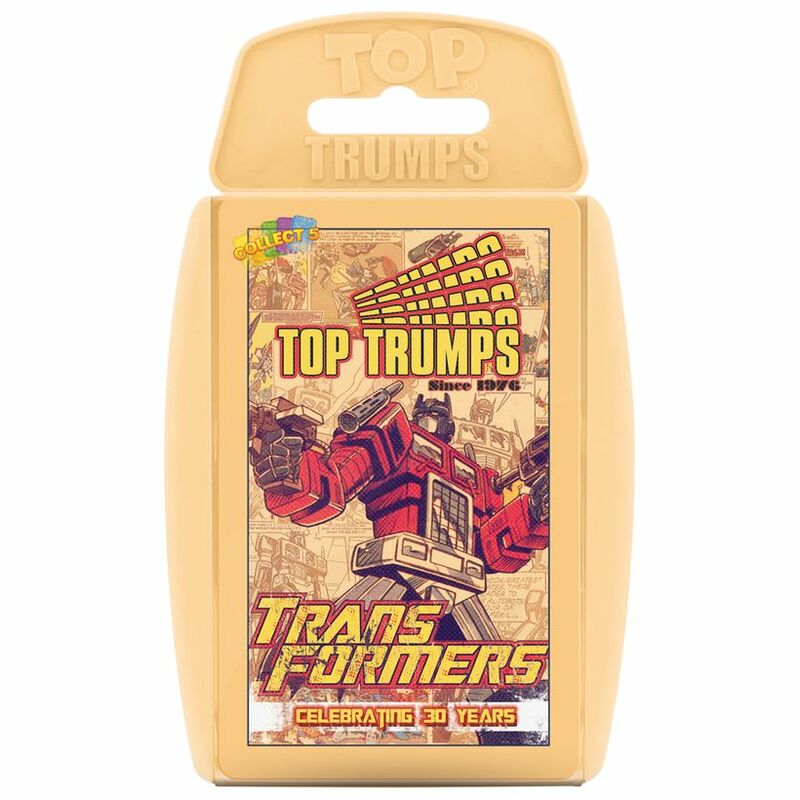 Take a look back over the last 30 years with this definitive pack of Transformers. The evil Decepticons are once again plotting to take over the Earth, but they face a mighty challenge: The courageous Autobots will stand their ground to defend the Earth allied with the fearsome Dinobots! 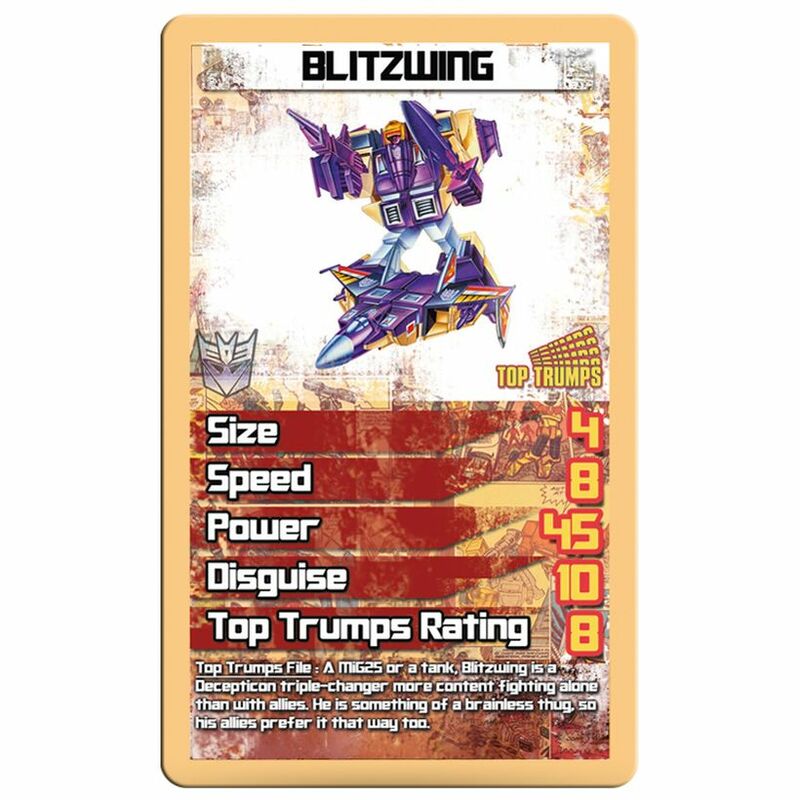 Who shall reap the fruits of victory is up to you. 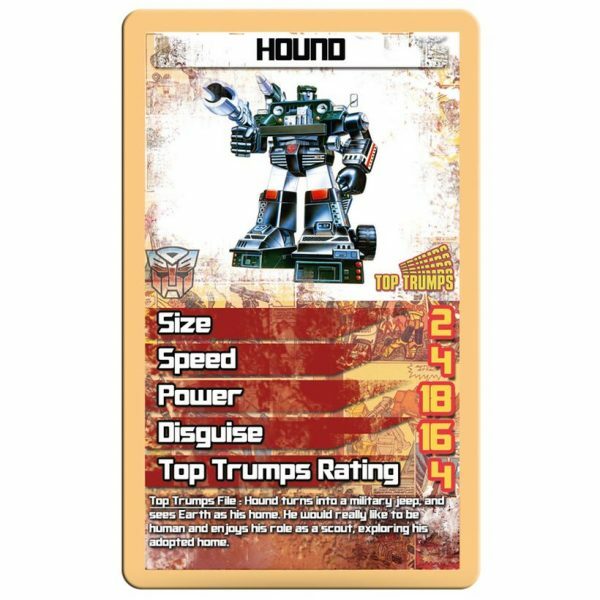 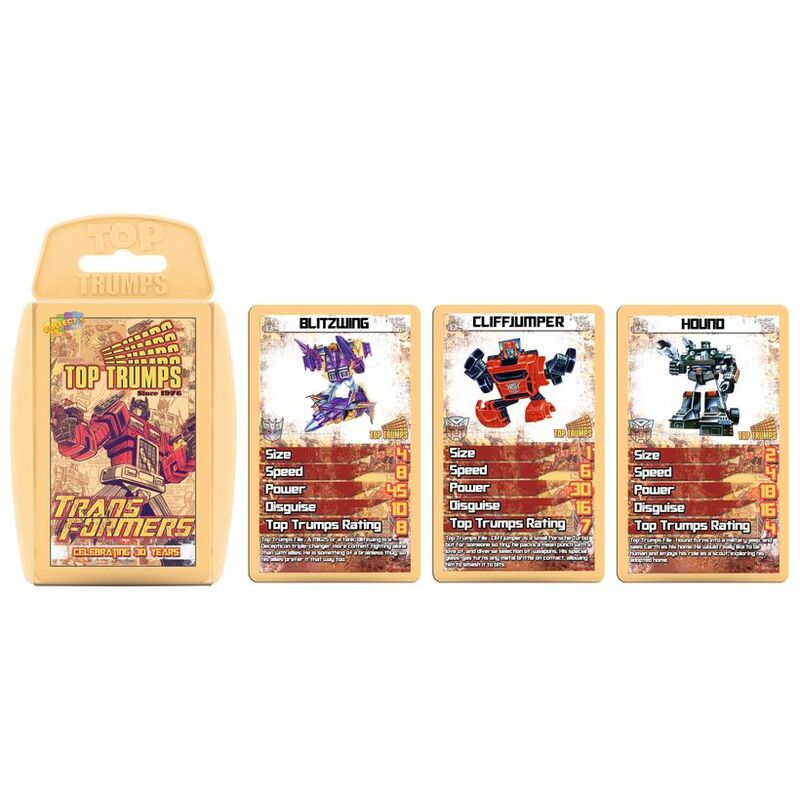 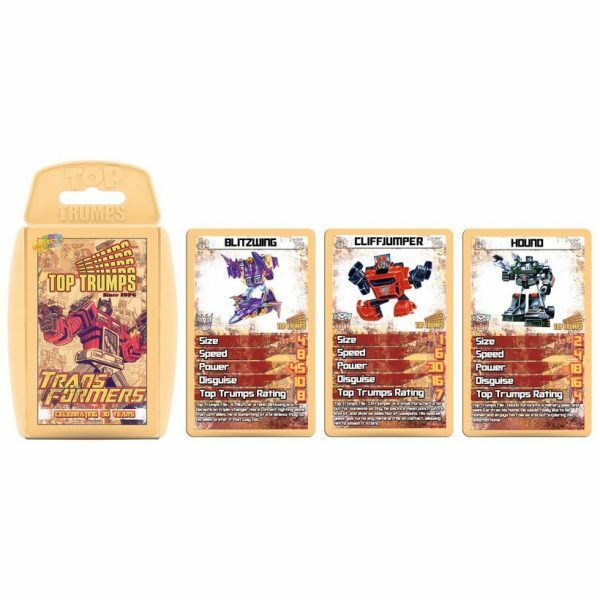 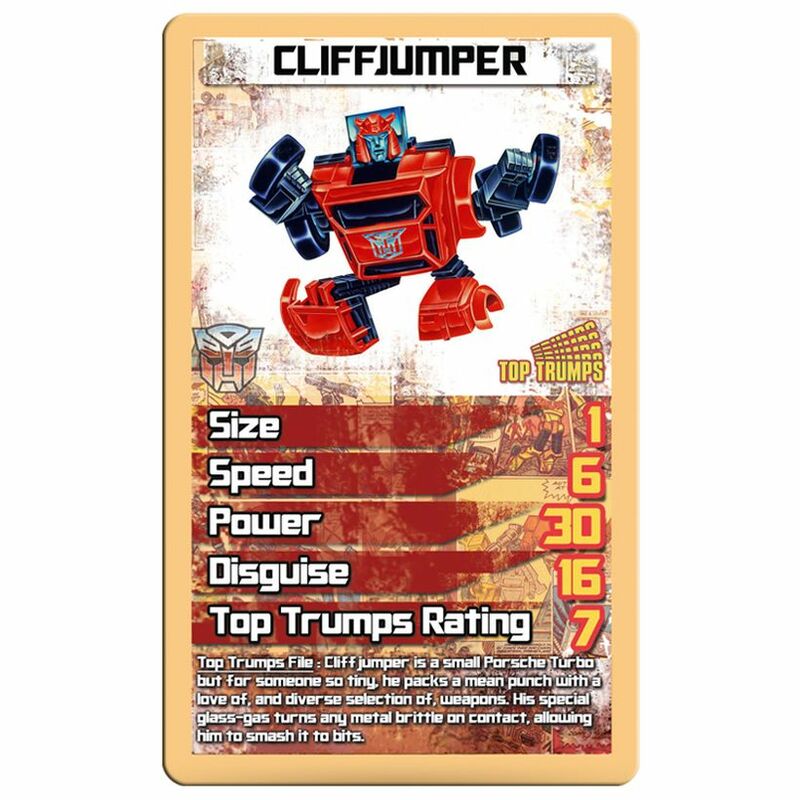 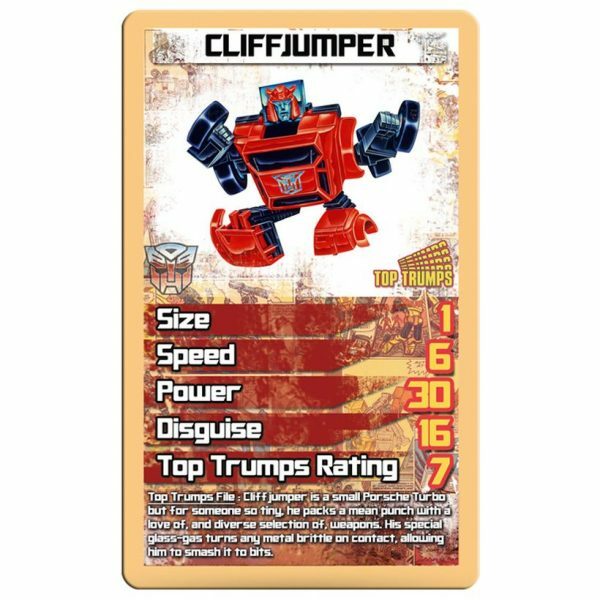 Relive the most exciting battles of the different factions; Optimus Prime, Grimlock, Bumblebee and the merciless Megatron are all in this Cybertronic edition of Top Trumps!